Are you highly motivated and passionate about fitness? 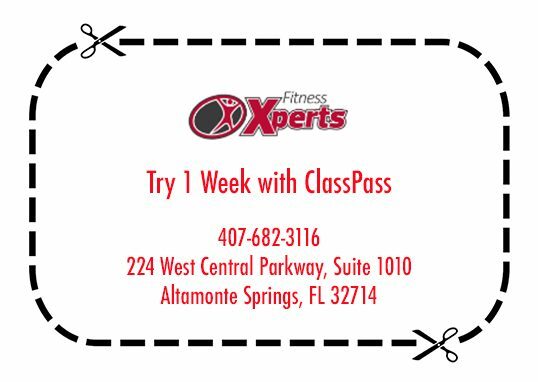 We are ready to help you build your personal training and wellness business in Altamonte Springs! Whether you are newly certified or a seasoned pro, we have all you need to launch your personal training career! Do you think you would be a good fit for our team? Contact us now to learn more and schedule a consultation! Are You Ready to Have the Power of the Fitness Xperts Brand and Reputation Behind You? Be your own BOSS — but with support! We also have studio and therapy rooms, a cross-training area, outdoor training, and more! Take Your Orlando Personal Training Business to the Next Level! Do You Dream of Owning Your Own Gym? We Encourage You to Pursue that Dream at Fitness Xperts – And Make it a Reality! So many personal trainers and coaches hope to own their own gym. Unfortunately most new studios fail within the first two years. But there’s good news! Because at Fitness Xperts, you can build your personal brand and business while learning the skills you need to own and operate your own gym. So many of our trainers have gone on to do just that, and are now successful gym owners themselves! Stop looking for personal trainer jobs and start building your future! Because you are worth it! Fitness Xperts was created as a place for the area’s top trainers to come and build their business without limitation. There’s a reason so many Orlando personal trainers choose to call Fitness Xperts home: because we believe in putting trainers first! With over 10+ years as Altamonte and Longwood’s go-to for personal training and fitness classes, we have the resources, knowledge and experience it takes to attract top fitness professionals – and help you succeed! So what are you waiting for? Contact us now and get started! Ask Us About Our Referral Bonus Today!